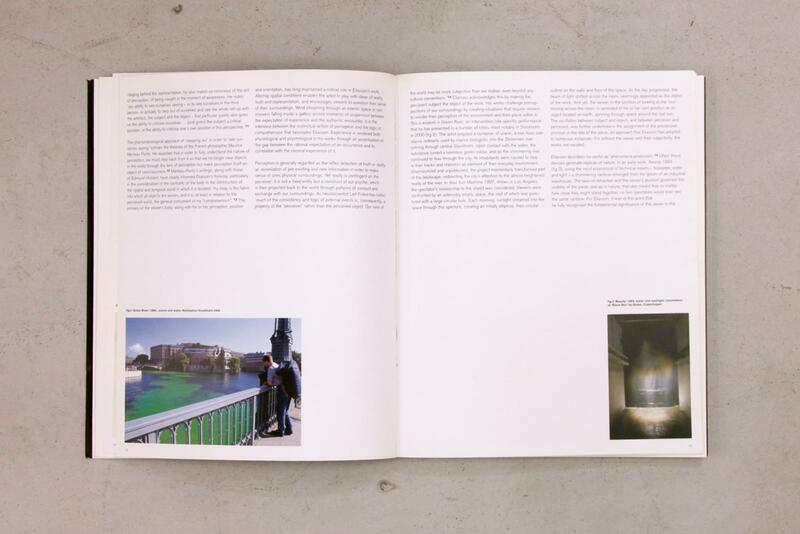 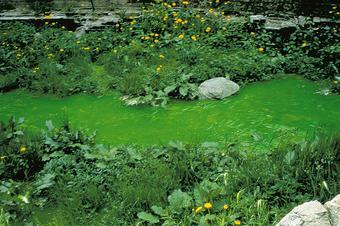 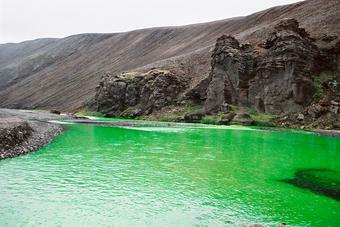 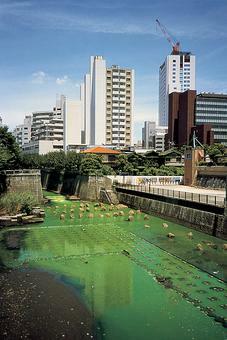 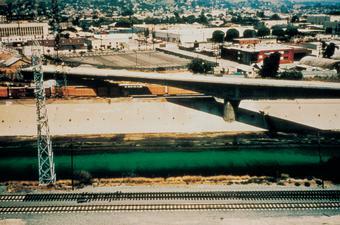 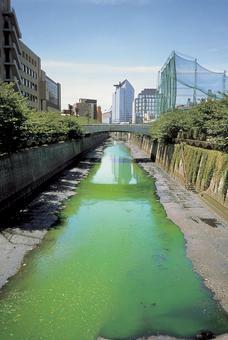 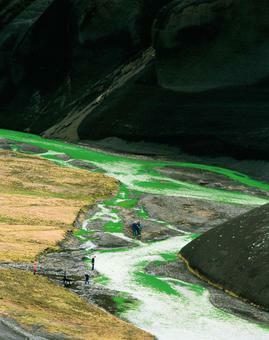 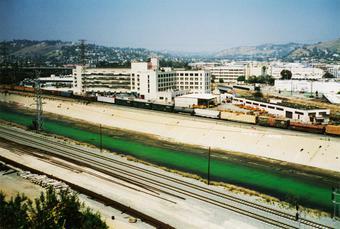 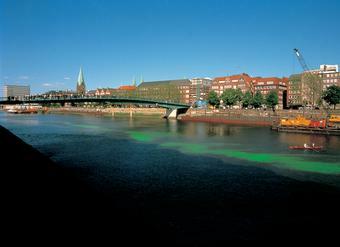 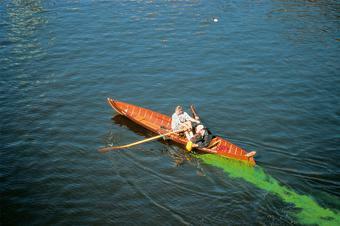 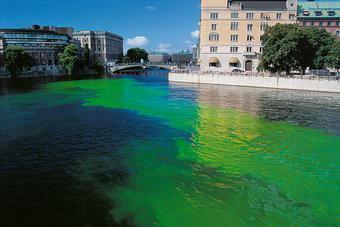 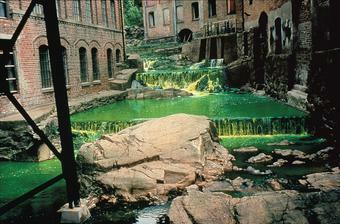 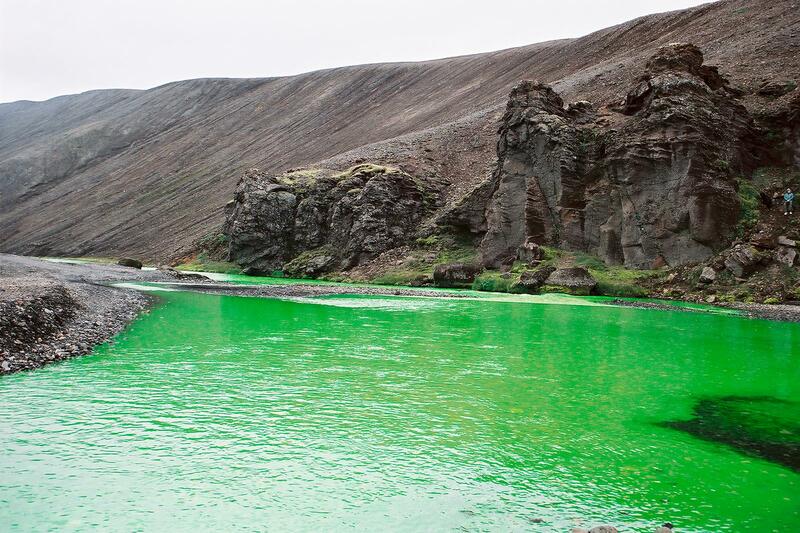 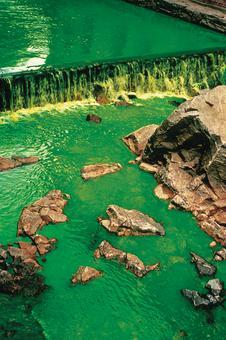 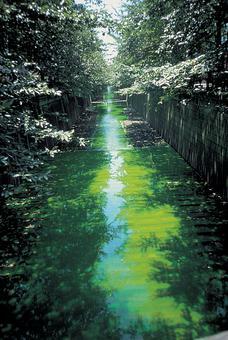 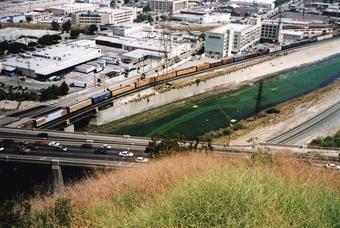 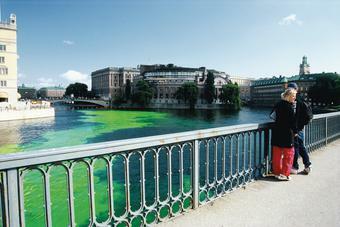 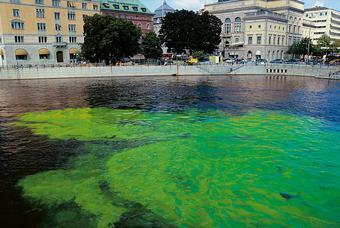 Uranine, a water-soluble dye used to test ocean currents, was poured into rivers in urban and rural settings, turning the rivers green. 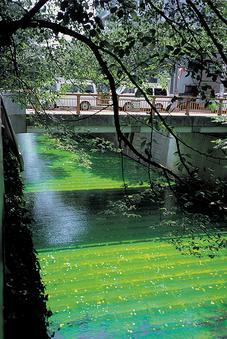 Carried along by the currents, the dye radically changed the appearance of the rivers and their surroundings. Eliasson has carried out this unannounced intervention in six different locations: Bremen, Germany, 1998; Moss, Norway, 1998; The Northern Fjallabak Route, Iceland, 1998; Los Angeles, 1999; Stockholm, 2000; and Tokyo, 2001. 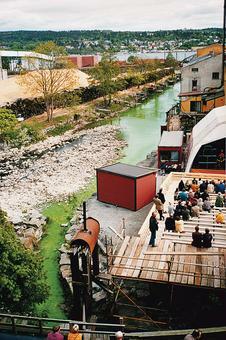 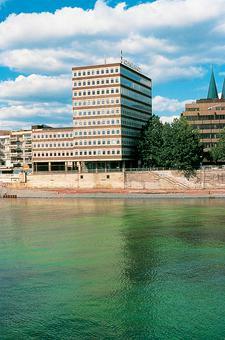 Response to the intervention varied greatly depending on the location.